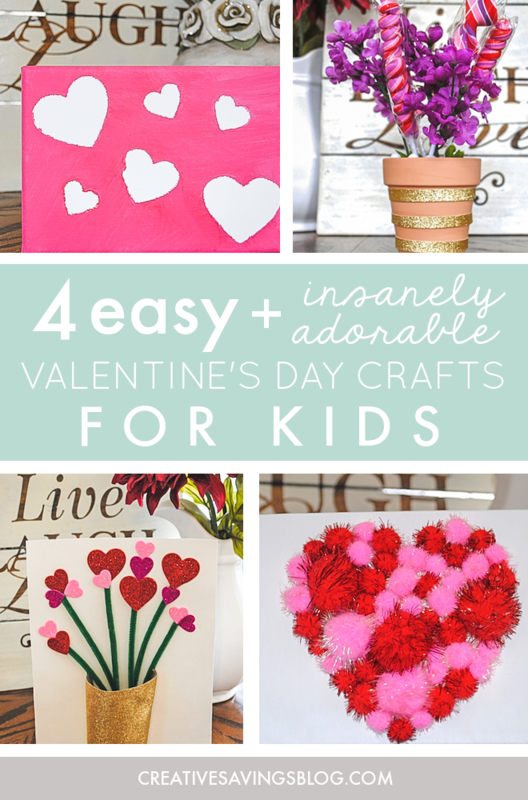 4 Easy & Insanely Adorable Valentines Day Crafts for Kids! Super CUTE!! 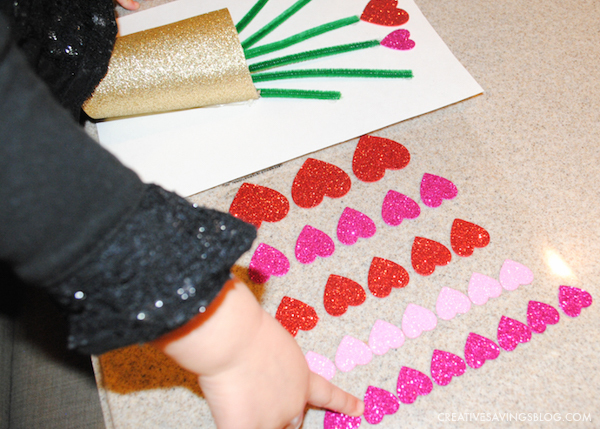 These Valentines Day crafts for kids are not only cute and adorable, they're also crazy easy to make! Most of the supplies come straight from the dollar store, which means you can have a thrifty afternoon project within minutes. Please give a warm welcome to Ashlyn, who writes at Loves the Find! I absolutely adore how crafty and creative Ashlyn is. Her ability to turn thrift store finds into a stunning masterpiece is a talent I wish I had! 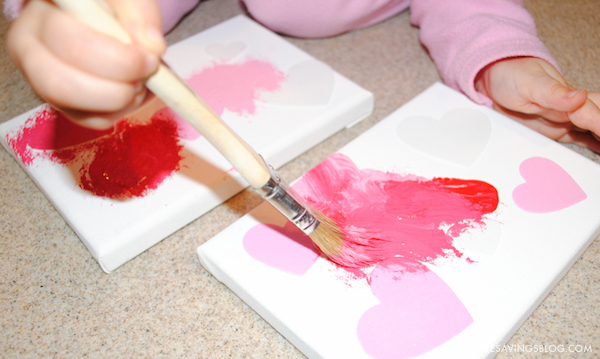 If you have kiddos at home, or a niece and nephew to entertain, you're going to love the kid-friendly Valentine's day crafts she's sharing with us today. Enjoy! Hello there lovely readers of Creative Savings! I’m Ashlyn, the writer behind Loves the Find, a DIY and budget living blog. My husband and I share a great love story along with a strong passion for budget friendly shopping and creating unique projects with our own two hands. 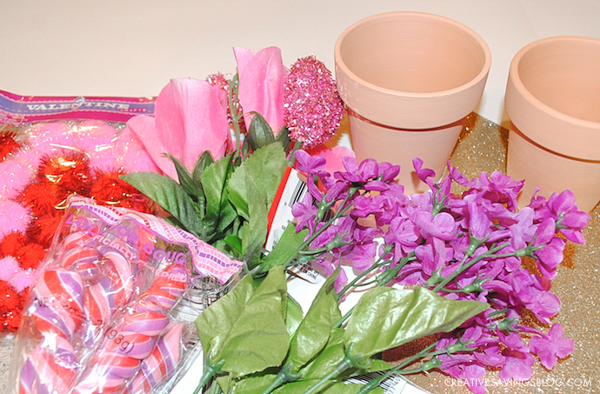 I’m extremely honored that Kalyn wanted to collaborate and show my fabulous DIY Valentine’s Day crafts for kids. 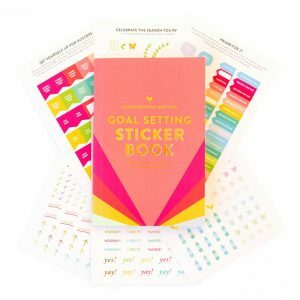 I have a beautiful 2½ -year-old daughter who loves anything to do with stickers and paint, so that was my starting point on coming up with these fun projects. 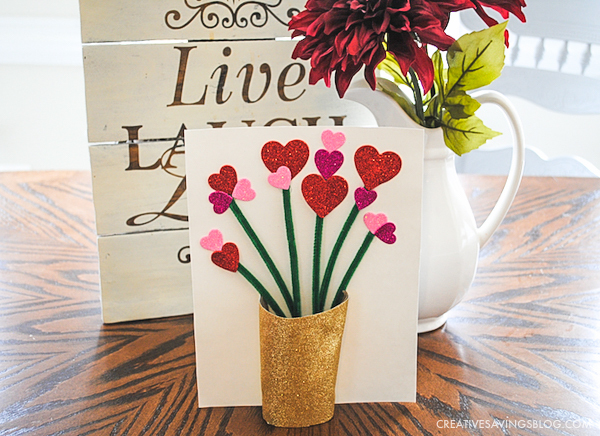 Nothing is better than handmade greetings that are super cheap and easy to make! 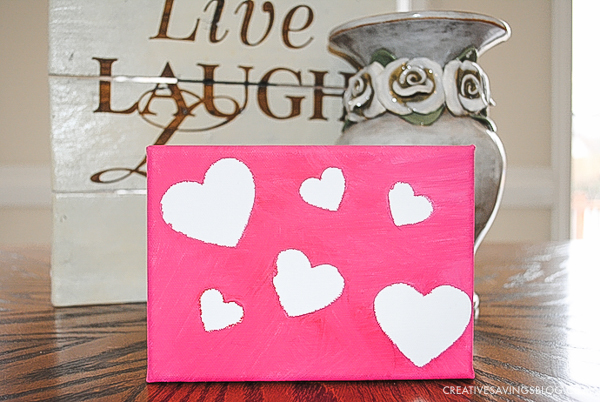 For this craft I recommend that if a child has good thumb and pointer control to use tweezers to place on hot glue where you create the heart shape. 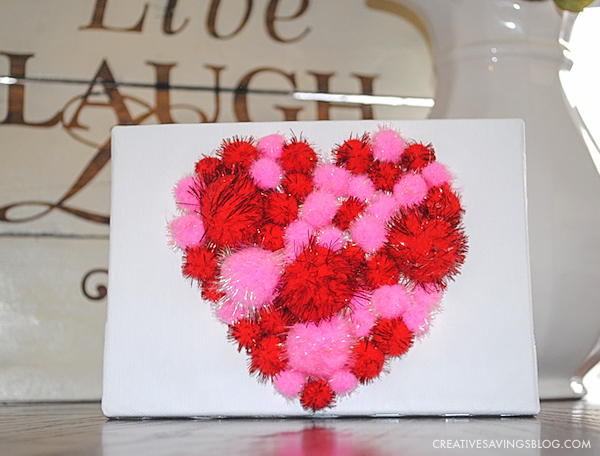 Otherwise, like for my case I just let her play with the pompoms and move them around and then made the heart outline and then let her drop the poms inside the heart outline where I have spread the hot glue and pressed them down myself. Write your child’s name on the back so the artist gets credit. If your child is at the age they can use scissors, I like using the poster board since its cheap and they can make multiple projects with it. Just use a magazine to create a good guideline for them to cut out. Child can’t use scissors yet, use a piece of letter hard stock or cut it yourself. If your child is at the age they can use scissors, have them create 3 strips of the pretty paper to wrap around your vase. Child can’t use scissors yet, cut it yourself or you can have them paint the vase instead. Wrap the three strips around vase and secure ends with hot glue. Cut toilet paper roll to be just shy of the height of the pot when placed inside. Secure the end of the roll in the pot with hot glue. 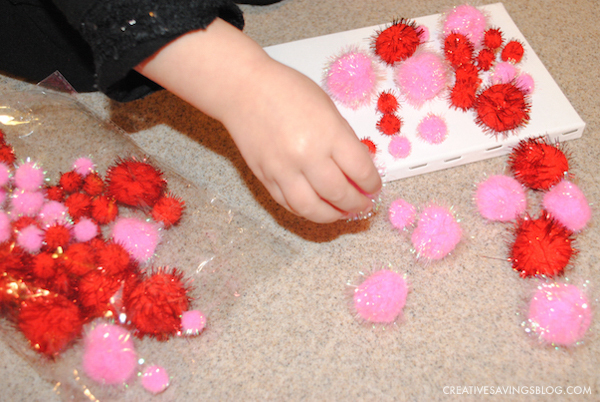 Have child bundle the flowers and lollipops and secure with pipe cleaners. I would have them wrap a few around to make it wide enough to act as a base within the toilet paper roll. 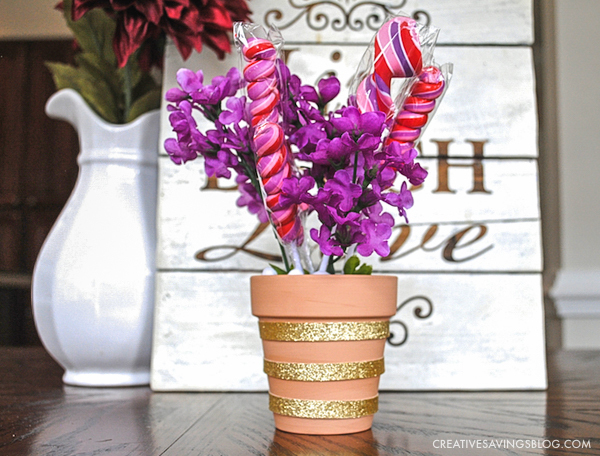 Place flower/lollipop bundle within the toilet paper roll in the pot. Have child fill the pot with pompoms. I hope you’ve enjoyed my tutorials and best tips for making your Valentine’s Day extra special!! Let me know how it goes! 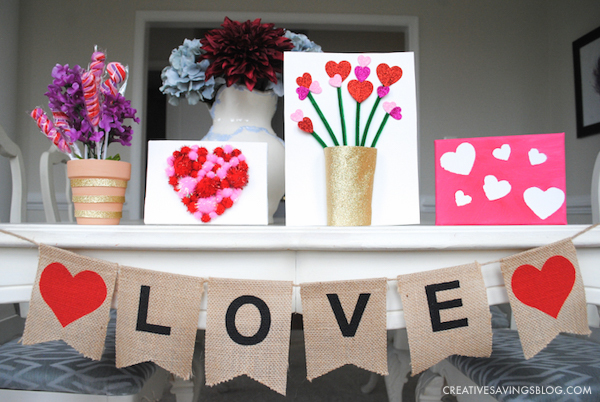 Which Valentine's Day Craft is Your Favorite? Hi y'all! I’m Ashlyn, a working mother with a love for sparkly vintage things, DIY, healthy eating, coffee, fitness, animals (especially horses), and anything that saves me money. My husband and I share a great love story along with a strong passion for budget friendly shopping. We have had many great trips to antique shops, flea markets, yard sales, and our favorite little thrift stores. Our time together has taught us that money doesn't buy happiness. Savvy tricks, unique pieces and imagination really make a house a home and your closet “designer”. To say the least we both love the find! With our own path to savings, furthered by the birth of our beautiful daughter, I wanted to build a blog catered to the vintage hunter, budget friendly shopper, and DIY-er. I hope you enjoy my story! 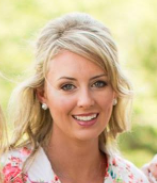 Connect with Ashlyn on her Blog, Facebook, Instagram, Pinterest, and Twitter. Do you have a Star Wars fan in your house? These adorable valentines are just the thing you need to brighten up anyone's day! All you need is a bag of mini Milky Ways, and the printable PDF below. Pop your name into the box, and I'll send the file straight to you. Thank you so much for having me Kalyn! Happy Valentine’s Day! These are super duper cute! Makes me wish I had a child to do these crafts with. 🙂 I may have to steal my nephew for a day! BTW Kalyn, I love the new look of your site!